When it comes to website hosting, speed and reliability have the power to make or break your online business. 79% of people say they don't return to a website after a poor experience so our web hosting packages guarantee peak performance. If you've already tried another hosting company and spent hours listening to recorded messages or trying to get through, prepare to be amazed. Our recommended website hosting is based on the personal touch and there will be a real person available to offer you support 24/7, 365 days a year. Our recommended USA based data centres and proven backup facilities offer total peace of mind when it comes to reliability and we're just as reliable when it comes to cost. You won't find any hidden fees and we'll help you find the business website hosting package that matches your needs exactly. Why trust ALGART Media with your website hosting? We can recommend safe and secure website hosting that you can trust. Let us look after reliability while you get on with running your business. 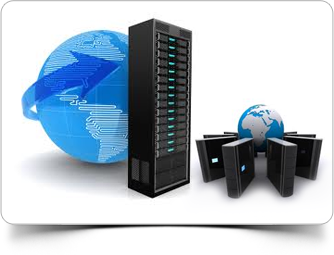 Web hosting with no hidden extra-bandwidth bills – no matter how successful your website becomes. We guarantee daily backups and the highest standards of remote storage to ensure we can offer your website maximum protection. We understand your business cannot afford any failures. All of our recommended hosting partners are based in the USA giving you total peace of mind. Even if you are not an enterprise, you can benefit from enterprise-level technology. We know that performance matters so we've put everything in place to deliver maximum speed alongside total reliability – it's a winning combination. Never again will you struggle to find hosting support. Onsite engineers work round the clock at our recommended data centres and if an issue pops up, they're here, at the end of the phone, 24/7. Ready to help.